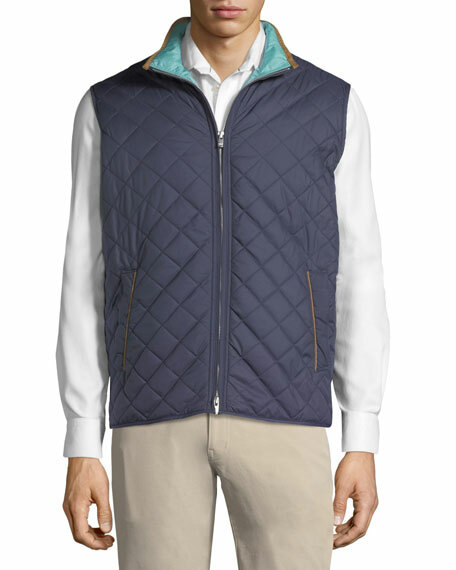 Peter Millar "Tailgate" woven diamond-quilted, lightweight vest. Stand collar with contrast tipping; two-way zip front. For in-store inquiries, use sku #2407791.